What could be more magical than taking your son to Disney World after your first No.1? Nothing for Jimmie Allen after "Best Shot" hit that coveted spot! Country music star Jimmie Allen‘s first No. 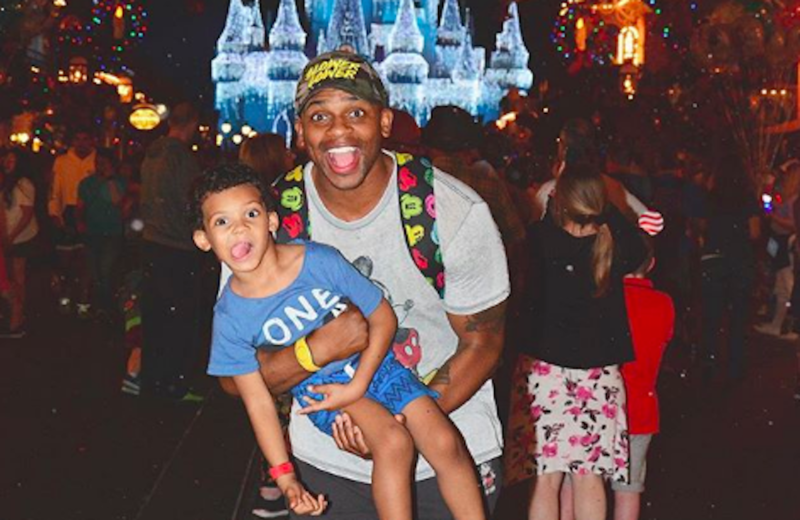 1 hit, “Best Shot,” helped him make his young son’s Disney World dream come true! “Having radio success just means I can afford to take my son to Disney World without selling a kidney,” Jimmie admitted to PEOPLE. Their two-week adventure was complete with meeting characters and exploring the most magical place on earth had to offer! They wanted to pack in as much as the Disney Parks had to offer, after all, the Allen family hadn’t been there since Aadyn, Jimmie’s son was just was just a baby! The only issue the trip is that Aadyn didn’t want to leave! “Now he thinks Disney World is real life, he expects it now,” Jimmie reveals. He definitely raised a smart kid, Aadyn innocently pointed out that planes leave every day so they can go daily now! Jimmie had to take a minute to parent his son after that by explaining why that wasn’t possible. Jimmie’s track “Best Shot” didn’t just break a personal record for himself, it broke a record as the first African-American male to begin his country career with a No. 1! Share this update with other Jimmie Allen fans!